Hi there! 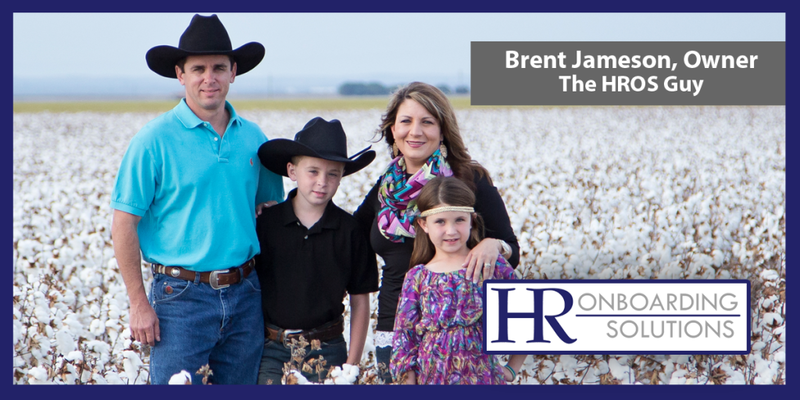 My name is Brent Jameson, owner of HR Onboarding Solutions. I have been married to my wife for over 16 years and we have two wonderful kids. We live in the cotton fields of West Texas near San Angelo and in my spare time I enjoy hunting, fishing, and spending time with my family. While working for an Oil and Gas Chemical Company I was tasked with finding a better solution for hiring our employees instead of using paper forms and overnighting new hire packages. I found a company called Yozons that was able to build us a customized HR Onboarding System. It saved our company over $150,000 and reduced our time to hire our employees by 5 days and allowed me to be a more strategic HR partner rather than pushing paperwork all the time. I have enjoyed working with this system so much that I wanted to share it with other HR professionals. I have a passion for technology and HR and combining them together is a dream come true. We specialize in customized HR Onboarding Systems since no one company is exactly alike. Hi, my name is Brent. How may I help you? If you have any questions, let us know.